Good evening everyone, sorry I am so late today but I was out shopping and it took longer than expected! 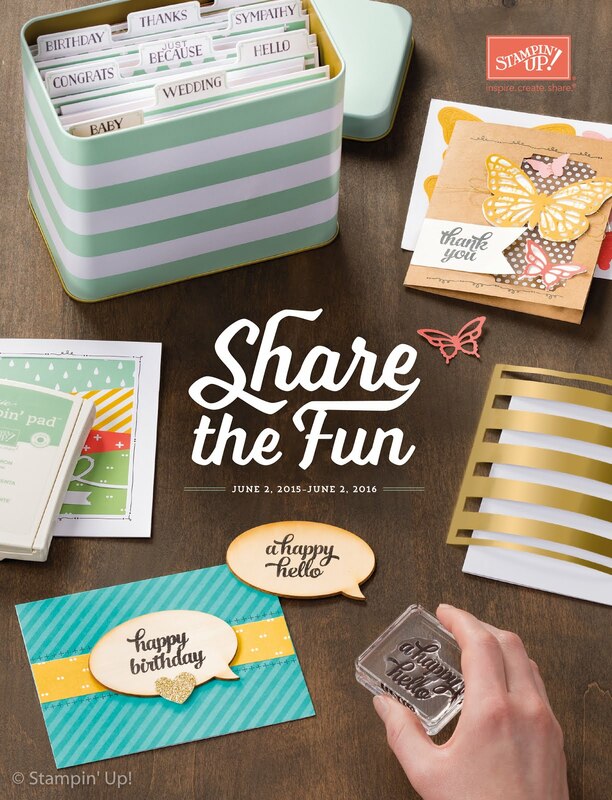 I am absolutely blown away by the workshop incentive that Stampin' Up are running this month. One onf my customers took advantage of the extra £20 hostess benefits at a workshop and got herself a Big Shot and exclusive Stampin' Up dies as a package. Contact me to find out how. 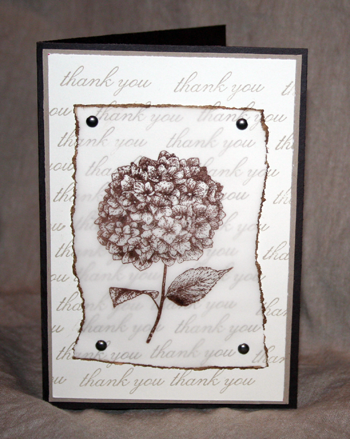 Today's card is a variation on the vellum card from earlier in the week, but I used my stamp-a-majig and the "thank you" stamp to create a background. I thought that tearing the vellum made the card have a more whimsical feel instead of the more formal straight lines from cutting. I inked the edges with soft suede ink to make it stand out a bit more and look more aged. I think it looks like a catalogue page or a page from an old botanical gazette. As you can see I used brads to attach the vellum to the card again. I did this for two reasons, because I adore brads and think that the metallic brad adds to the vintage theme, and because it means I don't need to worry about hiding the glue marks, anything for an easy life! I decided that I didn't need to add a sentiment to this card as the background paper said it all! I love Stampin' Up designer patterned papers but it is wonderful to be able to make your own to suit a card. I hope you enjoyed today's card and that you will check back tomorrow for the final card in the series. 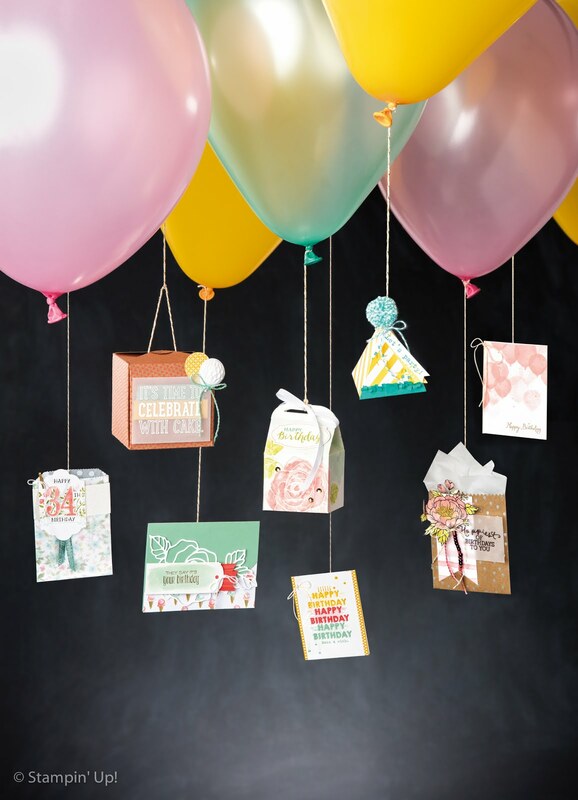 I haven't received any requests for products for the coming weeks so if you would like to see a product featured (it doesn't have to be a stamp set) let me know. 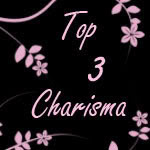 Thank you to everyone who has left me a comment, I love reading them, particularly Nicole and Lynne.